4* Spa Break with Breakfast & Treatments £99 for Two People! 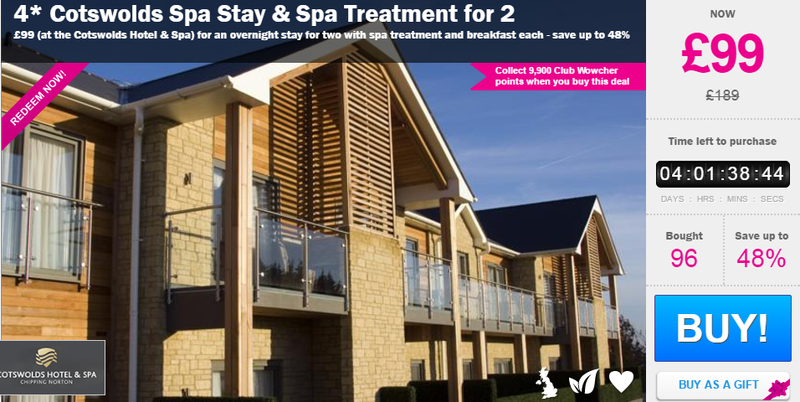 4* Spa Break with Breakfast & Treatments £99 for Two People!a !! 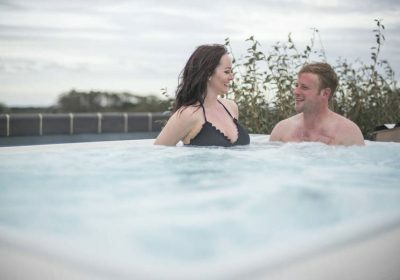 Check out this fab deal over at Wowcher for a relaxing spa break including overnight stay, breakfast and spa treatments for just £99 for Two x People! Indulge in an overnight stay at the 4* Cotswolds Hotel & Spa. Includes a full English breakfast in the morning. Plus a 25-minute spa treatment each from a choice of facial, massage, manicure or pedicure. Make the most of the spa facilities, including hot tub, steam room and relaxation area, between 9am-2pm. Located in the picturesque Cotswolds town of Chipping Norton. Valid for stays until 31st Mar 2017 (see Fine Print for details).